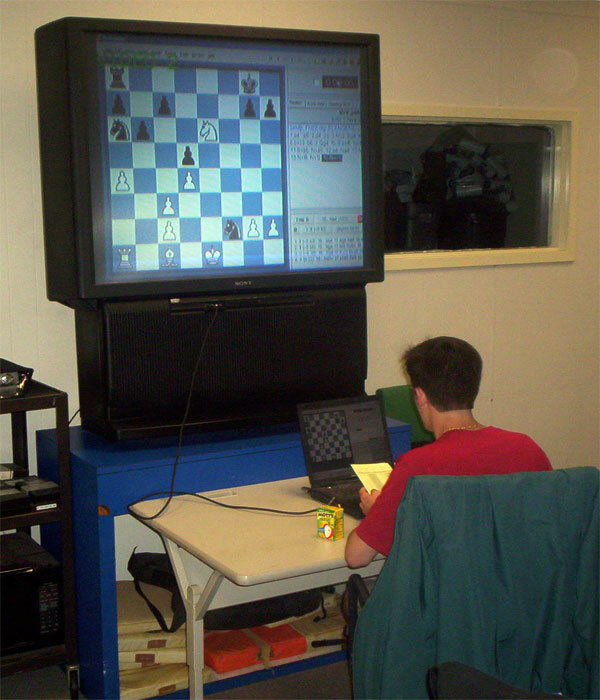 I have posted the games from Round Two of the 2006 Summer Tourney. 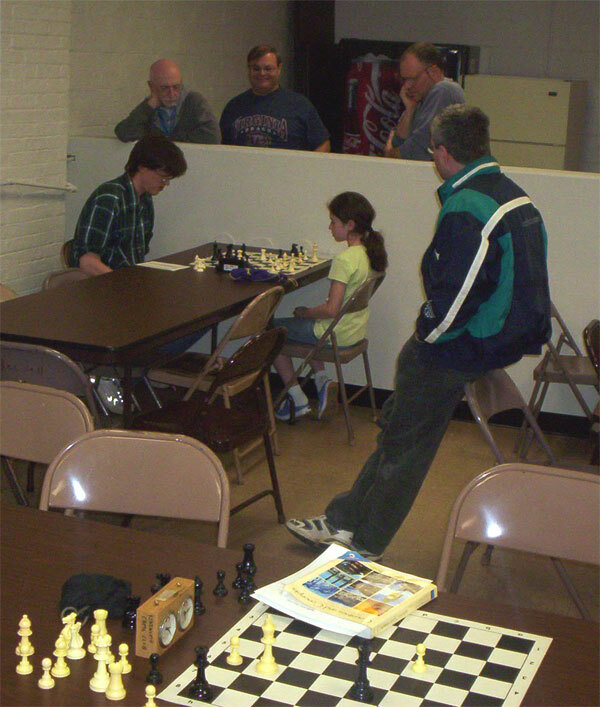 Ten-year-old Anna Matlin's game with NM Mark Kernighan drew some spectators, especially as it was the last to finish. Mark rewarded the onlookers with a rather spectacular final move (see diagram below), which he played with under a minute left on his clock. Anna may be 0-2 so far in the tournament, but she has certainly worried some of our strongest players and impressed everyone with her calm resolve at the board. And here are more photos from last night's round. Play continues next week. Devin helps record some games.